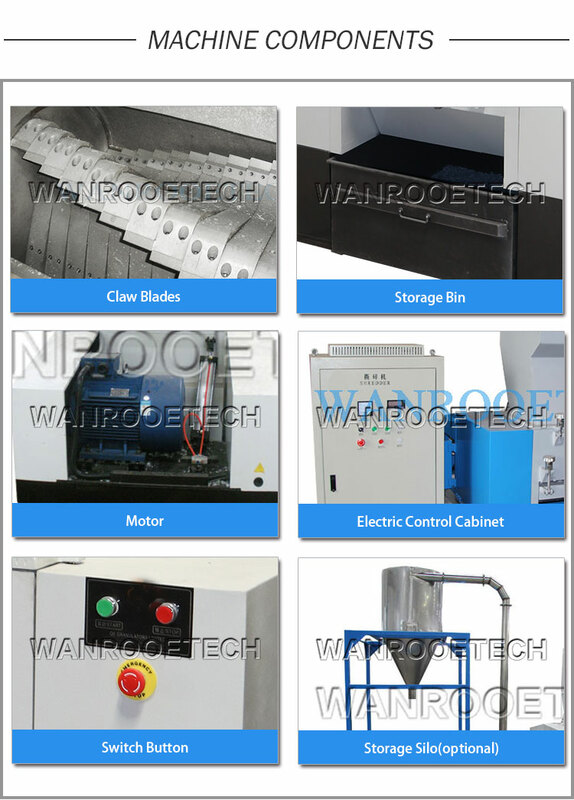 Plastic crusher,plastic granulator,plastic grinder are manufactured by WANROOETECH in China. Our wide and comprehensive ranges of plastic granulator are capable of processing a large variety of plastic materials to any size you prefer. With the range of granulator equipment as well as a variety of rotor types, rotor geometries and cutting tools, we can shred such plastics as PE, PP, PVC, PS, PU and PET. 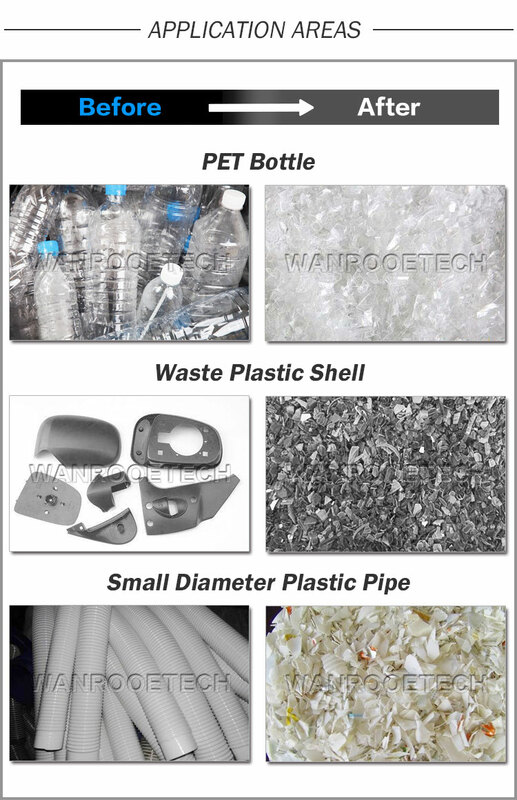 Whether it is large volume blow molded pieces, pipe and profiles, purge or other plastic production waste such as bottles, barrel, fibers or carpet, WANROOETECH has the suitable plastic granulator to handle the job. A plastic granulator, or sometimes referred to crusher, has the unique ability to quickly and efficiently cut a stream of plastic scrap into small uniform flakes or regrinds for recycling. At the core of our granulator is an open rotor mounted with heavy-duty knives in either a double-scissor cut or v-shape array based on your requirements. As the rotor is spun at high speeds, the rotor knives come in contact with stationary knives that are mounted within the cutting chamber. The material is continuously cut until they are small enough to pass through a screen filter. granulator-rotorOur standard granulator houses 12 rotor and 3 stationary knives. All knives use only high quality D2 high-carbon, high-chromium steel which ensures longest usage times before requiring sharpening. All knives are easily adjustable with hydraulic assisted access to the cutting chamber. Depending on your application, Wanrooetech provides both dry and wet granulators. This plastic crusher is specially designed for crushing all kinds of thick-wall resin, timber, aluminum foil in the shape of film, sheet, runner, tubular construction or hollow container. The crushing material includes PVC, PP, PE, PET, EVA, PC, Sponge, etc.